Tags : SW Motech, Top Case, TraX ADV. SW Motech brings you the GEAR+ Lid Nets for the TraX ADV Top Cases, part of the new expanded line of accessories for the TraX ADV series of hard luggage. 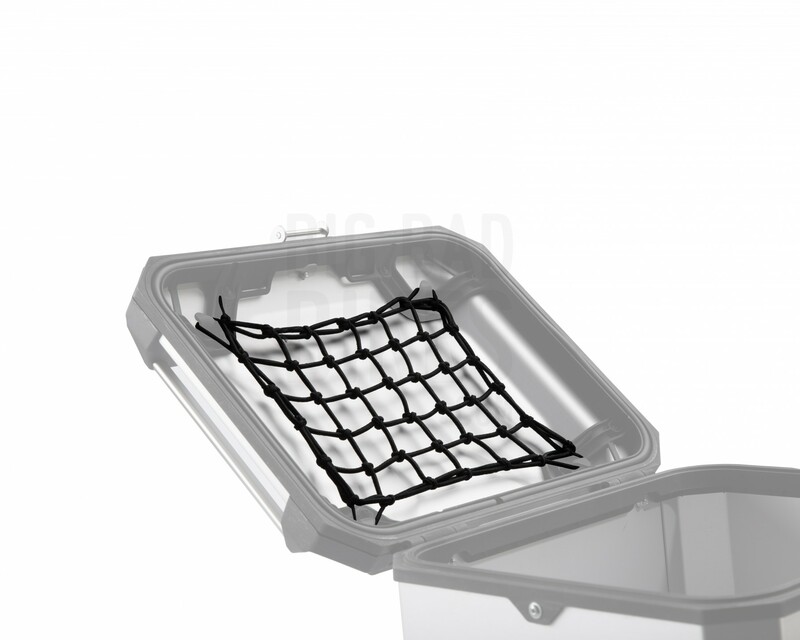 The lid nets allow you to make use of the space in the top case lid, a space that would otherwise go unused in most cases. 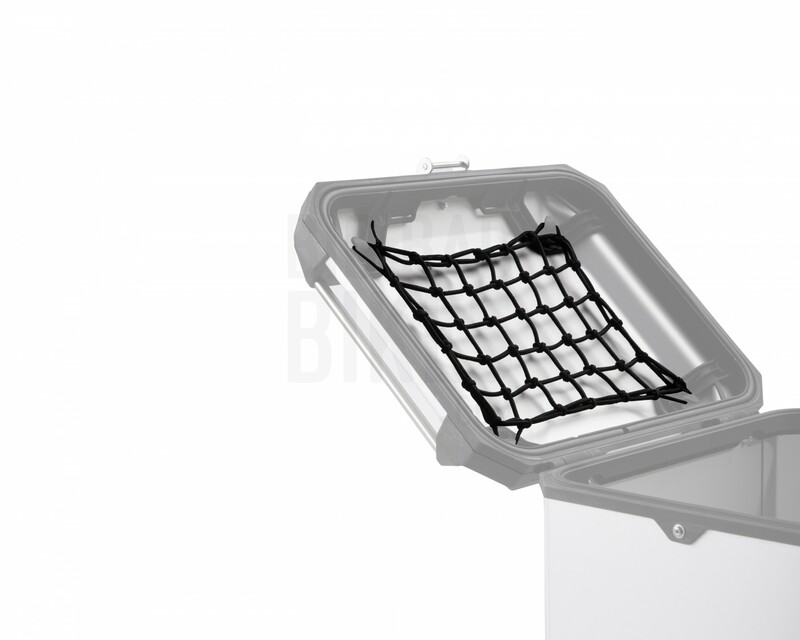 The lid net attaches quickly onto 4 attachment points that are already integrated into all TraX ADV Top Cases. The net is made from highly flexible elastic material, and will hold pretty much anything in place. The perfect stowing point for things like rain gear, extra gloves, or anything that you want quick access to.